The whole purpose of visiting Niagara Falls, Ontario, is to visit the actual Niagara Falls. The Niagara Falls is one of the most popular waterfalls in North America, separating New York and Canada. One of the best ways to see the walls relatively up close is through Maid of the Mist. Maid of the Mist is a boat tour within the waters. The boats shuttle towards the base of the waterfalls, beginning the service in the 1840s. 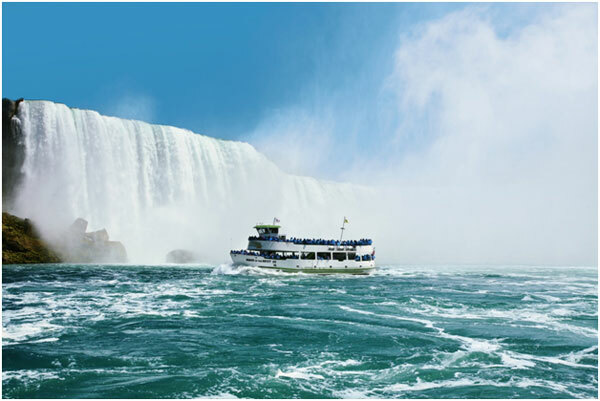 The boat passes right under the falls, so expect to get wet. The tour lasts about 20 minutes and the tickets cost $18.25 for adults, $10.65 for kids aged 6 to 12, and free for those younger. Trips usually begin at 9 am, but hours change by season. 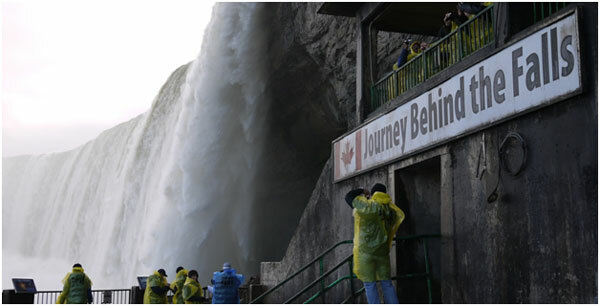 One of the most interesting ways to explore Canada’s famous waterfall is to participate in Journey Behind the Falls. On this tour, you get the opportunity to stand directly behind the falls. It starts by taking an elevator to an observation deck. After you admire the beautiful views, you can head down to the caverns and tunnels to explore. Since this attraction is quite popular, expect the underground passageways to be crowded. 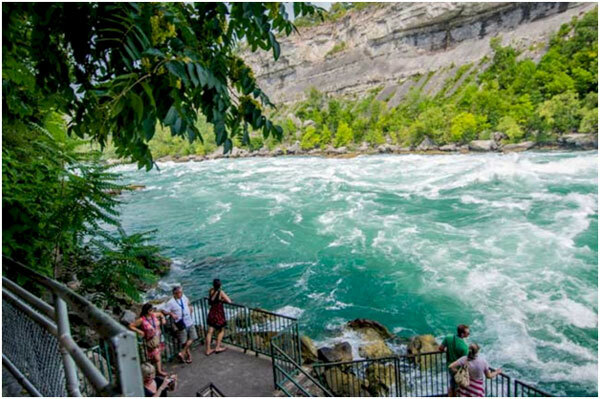 While other Niagara Falls attractions offer an interesting experience of the falls, the Journey Behind the Falls offers a unique perspective. Tickets to the attraction costs about $10.50 for the adults and about $7 for kids aged 6 to 12. Just like many other attraction in Niagara Falls, hours vary by season, but this attraction generally opens at 9 am. Another way to view the falls is the White Water Walk, a quarter-mile boardwalk that looks out over the falls. First, you have to take the attraction’s elevators down 230 feet to the base of the gorge. From there, you can feel the force of the cascade from the boardwalk. To add more depth to the attraction, there are plaques with interesting information placed along the boardwalk. Many of them speak about those brave enough to have attempted to cross the Niagara River. White Water Walk is open to visitors from 9 am to 5 pm on Monday to Friday and from 9 am to 6 pm on the weekends. Tickets for adults cost about $10.50 and about $6.50 for the young ones aged 6 to 12. Niagara is just filled with interesting ways to view the Niagara Falls. The Niagara SkyWheel is Canada’s largest observation wheel. The SkyWheel is located in Clifton Hill, one of the tourist districts of the Ontario province. 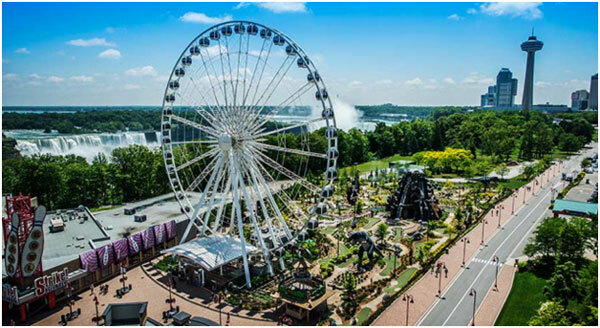 The SkyWheel’s gondolas sit at 175 feet above the fall, with a clear view of the Canadian and American side of the falls, the Niagara River, and some other landmarks. For about 8 to 10 minutes, you can enjoy the view, as each ride lasts that long. Many recent visitors noted that the experience at night is even more unique. Tickets for adults cost about $9.50 and about $5.50 for the young ones under 13. The attraction is open all year, but hours vary by season. While the Niagara SkyWheel is largest observation wheel, the Skylon Tower is one of the highest points in Niagara Falls to watch the falls. The tower rises 775 feet, making it one of the tallest spots in Niagara Falls. The tower has both an indoor and an outdoor observation deck, so you can get one of the best view of the cascades and of the city. If you don’t mind spending a bit more money, you can enjoy a meal at the revolving restaurant at the top of the tower. The Skylon Tower’s observation decks are open all year, but hours depend on the season. In the summer time, the tower is open from 8 am to 12 am. In winter, they are open from 9 am to 10 pm. Tickets purchased at the attraction itself costs about $12 for adults and about $7.50 for kids aged 6 to 12. If you purchase tickets online, the price is slightly lower. The best way to tour the city of Niagara Falls (as well as many other cities) is by chartered buses and vans. Explore at your own pace within the safety of your private vehicle. Don’t worry about ordering an Uber or Lyft when you have your own exploration vehicle. Through Busneeds.com, you can order the buses you need. Busneeds.com is an amazing, affordable chartered vehicle company that caters to your every need. Whether you need a bus for school trips, marriages, parties, campaigns, or whatever else, busneeds.com can help you. Busneeds.com offers buses, mini buses, school buses, party buses, and more. Most activities and destinations listed above and below are accessible by chartered buses. Visit busneeds.com to book your rental bus today! Outlet Collection at Niagara – If you’re looking for a great place to shop, visit the Outlet Collection at Niagara. It features over 100 stores and services, as well as a decent selection of dining options. 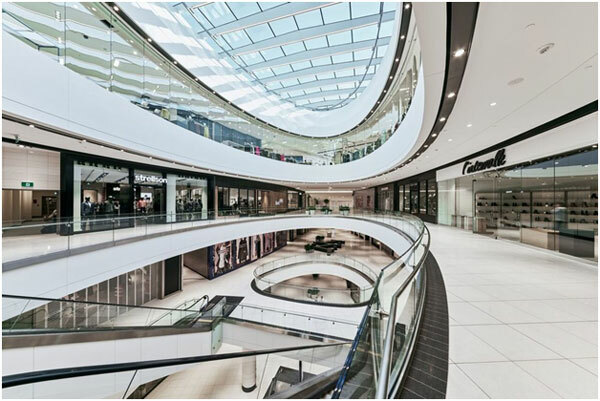 Fashion Outlets of Niagara Falls – If you’re looking for more of an upscale mall, you’re looking for the Fashion Outlets of Niagara Falls. It features some of your favorite stores/brands, as well as a quick bite to eat. Hershey’s Chocolate World Niagara Falls – While this isn’t a mall or major shopping district, it is a very popular place for tourists. Each year, thousands of visitors come to eat the Hershey Chocolate made here. Prime Steakhouse Niagara Falls – One of the fanciest places to eat in Niagara Falls is Prime Steakhouse. The upscale restaurant is rated the #1 fine dining restaurant in Niagara Falls by tripadvisor for 2018. Weinkeller – If you prefer a more local choice, visit the Weinkeller. If you couldn’t tell by its name, it is a wine bar. They offer drinks but also popular local dishes. They are rated the #1 local cuisine restaurant by tripadvisor for 2018. Have fun in Niagara Falls! The City of Detroit is where you will discover a vibrant, diverse and cultural city on the go. The bus charter rental taken to the city is sure enough to provide great travel experience. Detroit offers attractions for everyone, from zoo and museums to the exciting restaurants, nightlife, festivals and events. Charter Bus Rental division will help you to make your trip a memorable experience with the most modern fleet of Motor coaches. The Charter Bus Tour guide will help you navigate the city easily. Detroit has one of the most fascinating cultural scenes in the nation. As a city vibrant, lost and now in recovery, it’s a place both raw and refined, with gritty street art and edgy theater, as well as remarkable museums and architecture. But the culture here is subtle and discreet-it requires seeking out. Detroit is a sports town. It’s a city with passionate fans and remarkable teams. It’s also a place that resounds with the cheers of countless victories. That’s because Detroit is the “City of Champions,” and a great place for sports fans. Beyond championship teams, this city also hosts championship events. This includes World Cup Soccer, the MLB All-Star Game, Super Bowl XL, the Motor city Bowl, the Buick Open and the Ryder Cup. Detroit is a city of rhythm­­, from the resonance of automated assembly to the sounds generated by passionate artists and musicians. Detroit gave the world music genres like Motown and techno, and exported world-class musicians to other genres like jazz, blues, gospel, rock and hip-hop. Detroit’s music reflects the struggle, diversity and triumph of a community of people in the oldest city in the Midwest. Each day, more and more people visit the new shops and restaurants, go to the theaters and bars, and pack into crowded music venues. Detroit’s casinos add more revitalization, providing another entertainment option-only this one is open every day around the clock, making every morning, noon or night a great time to visit. People touting rabbit feet, four-leaf clovers, white elephants and other good luck charms come from miles around, hoping to spin, toss or deal their way to riches, and have a bit of fun along the way! The Artists and Architects here strive hard to change the face of the city by creating remarkable homes, theaters and office buildings. These grassroots efforts combined with the more traditional outlets, makes Detroit an important cultural center. Taking a Bus Charter Rental to Detroit will give you an eloquent experience. 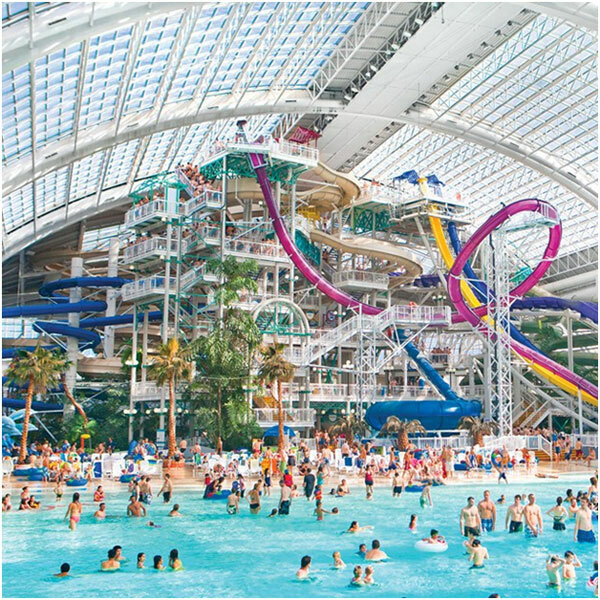 The West Edmonton Mall is not only a shopping mall, but it’s also one of the most popular attractions within the city. It is North America’s largest mall, so it has plenty to do inside. Inside, you can find countless stores and eateries. But more than the shopping stores, the entertainment at this mall is out of this world. They feature an indoor waterpark, known as the World Waterpark.It features plenty of slides, pools, and more. Another major attraction within the West Edmonton Mall is Galaxyland. Galaxyland is a space-themed amusement park that has several rides and more. There are plenty of other things to do within the large mall, so you might want to get here early to avoid most of the crowds. The mall is open either from 10 am to 9 pm or 11 am to 6 pm, depending on the day you visit. There is no price for exploring the facility, but attractions within do charge and operate on their own hours. 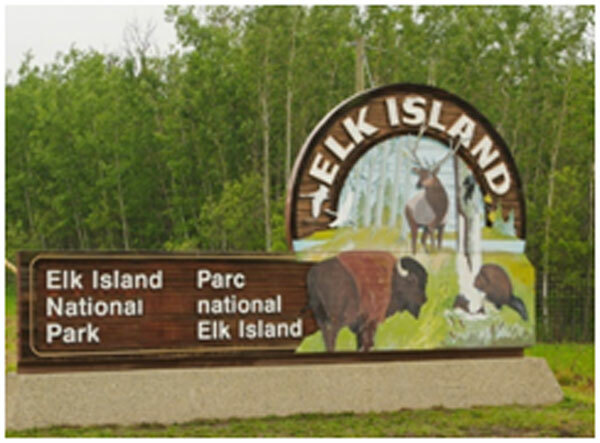 A popular park in Edmonton is the Elk Island National Park. Elk Island is a wooded park that serves as a refuge for elk, bison, birds, and more animals. Throughout the park, there are trails going through it so you can watch the animals in their own habitat. On these trails, it’s possible for you to see North America’s largest and smallest animals, the wood bison and the pygmy shrew respectively. The island park was established in 1913 and has been welcoming visitors since. Elk Island is open 365 days of the year (and 366 on leap years) for 24 hours a day. Almost every city has some history behind it. Fort Edmonton Park is the heritage park of the city. It features architecture of the late 19th century and early 20th century. It showcases what life back in the day looked like. 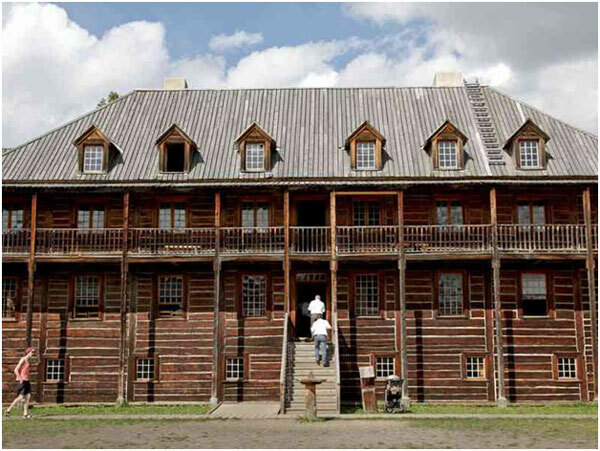 On the park, there is also a fort, Fort Edmonton. What’s more interesting about this park is that they host several events and shows regularly throughout the year. Fort Edmonton Park is only open during certain months of the year – in 2017, it was from May to January of 2018. Admission for adults costs about $20 and about $16 for kids aged 3 to 18 and seniors over the age of 65. Prices are subject to change depending on the day and season. The park’s operating hours are usually from 10 am to 5 pm, but this is also subject to change. Do you enjoy interacting with animals? If you do, then visit the Edmonton Valley Zoo. 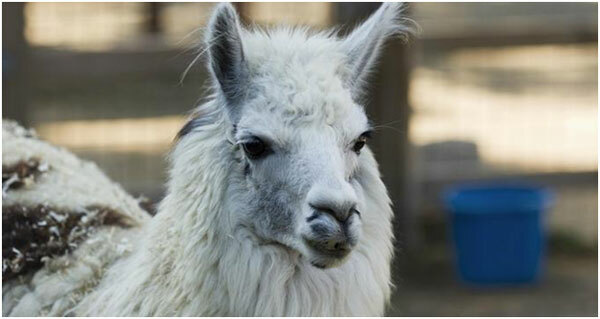 The Edmonton Valley Zoo features more than 350 animal exhibits, as well as several rides and more. Unlike many other zoos, Edmonton Valley Zoo stays openevery day of the year except Christmas. So chances are that the zoo will be open for you when you visit. The zoo is open from 10 am to 4 pm on the weekdays and from 9 am to 5 pm on the weekends. Holiday hours are from 9 am to 5 pm. According to their website, adult admission costs $14, $11.75 for teenagers under 18 and seniors over the age of 65, and $8.75 for kids under 13.
Who doesn’t like to admire beautiful pieces of art? 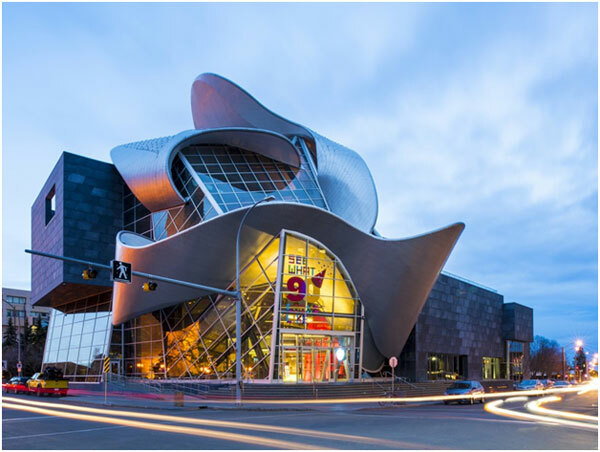 Gaze in awe at more than 6,000 works of art at the Art Gallery of Alberta. Established in 1924 as the Edmonton Museum of Arts, the Art Gallery of Alberta is one of the most popular in the province. Their works of art include various styles art, such as paintings, sculptures, drawings, photographs, and more. They are created by both Canadian and international artists. The gallery is open from 11 am to 8 ppm on Tuesday and Wednesday, from 11 am to 5 pm on Thursday and Friday, and from 10 am to 5 pm on Saturday and Sunday. They are closed on Mondays. According to their website, adult admission costs $12.50, $8.50 for seniors over 65, and free for those under 18. The best way to tour the city of Edmonton (as well as many other cities) is by chartered buses and vans. Explore at your own pace within the safety of your private vehicle. Don’t worry about ordering an Uber or Lyft when you have your own exploration vehicle. Through Busneeds.com, you can order the buses you need. Busneeds.com is an amazing, affordable chartered vehicle company that caters to your every needs. Whether you need a bus for school trips, marriages, parties, campaigns, or whatever else, Busneeds.com can help you. Busneeds.com offers buses, mini buses, school buses, party buses, and more. Most activities and destinations listed above and below are accessible by chartered buses. Visit our website www.busneeds.com) to book your rental bus today! 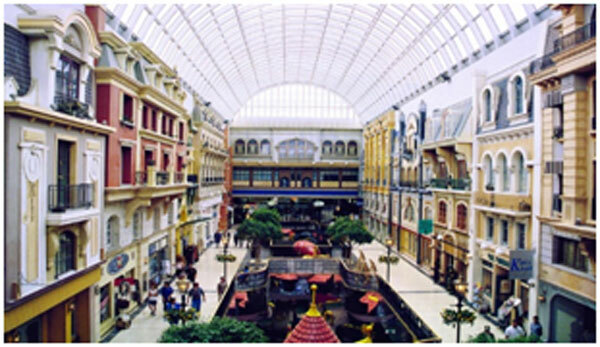 West Edmonton Mall – The West Edmonton Mall is the largest mall on the North American continent. Aside from featuring great attractions (read above), it features over 800 great stores and services along with over 100 restaurants. Southgate Centre – The Southgate Centre is a popular shopping centre in Edmonton. It features over 160 stores and services, 4 of them being anchor tenants. Opened in 1970, it has been providing great shopping since. Kingsway Mall – The Kingsway Mall is a popular shopping mall opened in 1976 in Edmonton. It features tons of great stores and useful services, including 6 anchor tenants. If you’re hungry, Kingsway has some great food options. SABOR Restaurant –SABOR Restaurant is a popular sit-down restaurant in Edmonton. The restaurant is inspired from Mediterranean and European cultures, mainly consisting of seafood. They also have non-seafood options as well. It is rated the #1 fine dining restaurant in Edmonton by tripadvisor in 2018. Hathaway’s Diner –Hathaway’s Diner is a popular dining spot in Edmonton to eat some great local food. The café serves food native to the country’s culture as well as some American twists. Hathaway’s is rated amongst the top local cuisine restaurants in Edmonton by tripadvisor in 2018. On a Vacation in Ottawa? A thing Ottawa is filled with is historical sites. 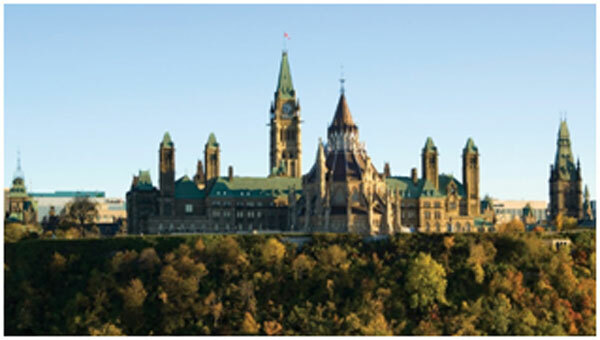 One of the most popular historic sites within the city is Parliament Hill. Just like England, the mother country of Canada, Canada is a parliamentary democracy. The three neo-Gothic structures are where government decisions for Canada are made. The governmental structures on occasion offer free guided tours, concerts, shows, and more. One of the standouts of this attraction is the Peace Tower. If you head up to its Memorial Chamber, you can pay respect to the fallen heroes of Canada. For the Peace Tower and the Memorial Chamber, there is no guided tour. Parliament Hill is open to visitors for free almost year round. For more information, stay updated with their website. 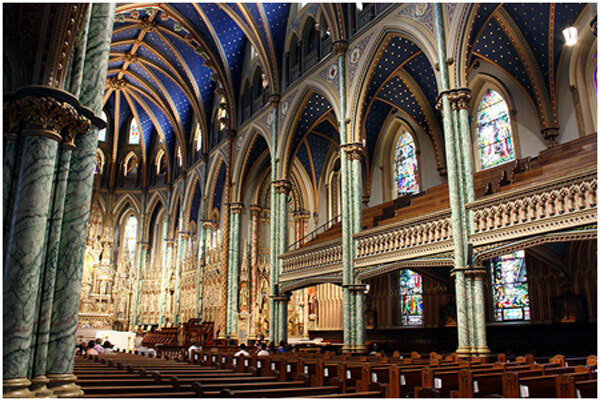 Another historic place in Canada is the Notre-Dame Cathedral Basilica. This basilica is the oldest church in Ottawa, and it’s also a Canadian national historic site. If you don’t want to attend a church service here, you can also take guided tours of the beautiful church. 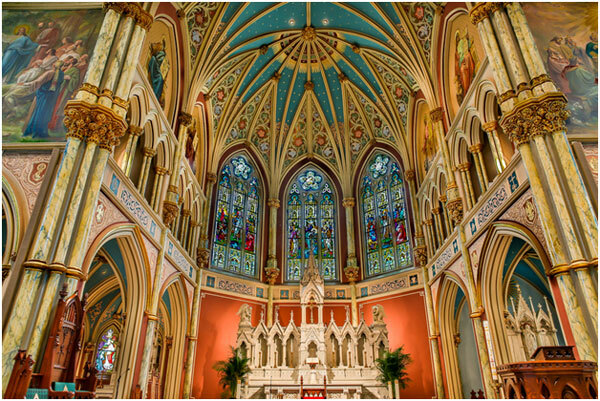 Inside the basilica, you can find stained glass windows, carved embellishments, beautiful architecture, and unique art. You can take guided tours during the months of May to October for advanced booking and a small price. Tours usually last between 30 to 45 minutes and are held on weekdays at 9 am and at 1 or 3 pm. The public hours of the basilica depend on the day and the time of the year. There is no price to enter, but donations are graciously accepted. If you’re looking for beautiful art displays, visit the National Gallery of Canada. 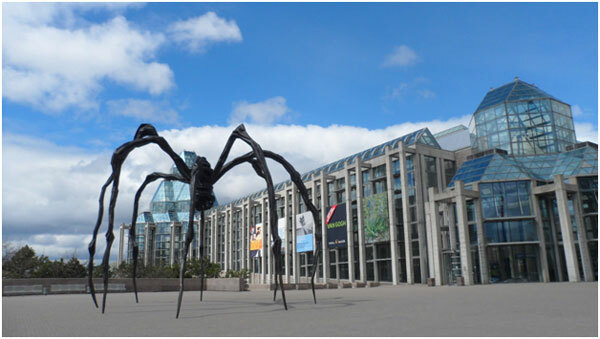 The National Gallery of Canada is one of the most popular art galleries in Canada, as well as the largest one in Ottawa. It features plenty of works from famous international artists like da Vinci, Picasso, Michelangelo, and more. There are also works from popular Canadian artists like Antoine Plamondon and Joseph Légaré. During the summer, the art museum is open daily from 10 am to 5 or 6 in the evening. During the winter season (October to April), the facility is open only Tuesday through Sunday. If you visit on a Thursday, the museum is open to 8 pm and offers free admission after 5 pm. Admission to the museum’s permanent collection on other days and times for adults is about $9. For an all access ticket (includes access to both permanent and special exhibits), the price is about $12. Everyone needs a break from city life at one point or another. 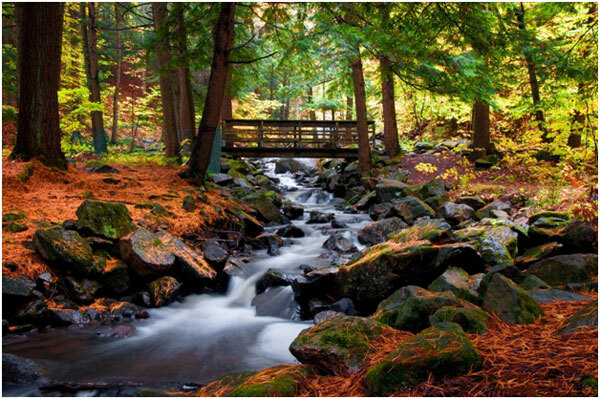 If you’re looking for a great place to spend some outdoor time, visit Gatineau Park. Located in the nearby city of Chelsea, the park is a 90,000-acre greenspace with a variety of activities, most of them outdoors. They include swimming, jogging, biking, skiing, and more. For a more relaxed activity, take a stroll through the park’s serene pathways. Gatineau Park is generally open for the whole year, but certain roads and sites may be closed during the winter. Hours usually depend on the season, but the park’s visitor center is open 9am to 5pm. The ticket of admission is around $8.50 or less. Are you a history or war buff? If you are, the Canadian War Museum is a must-see attraction for you. Even if you’re not much of a history lover, the war museum probably has something that interests you. 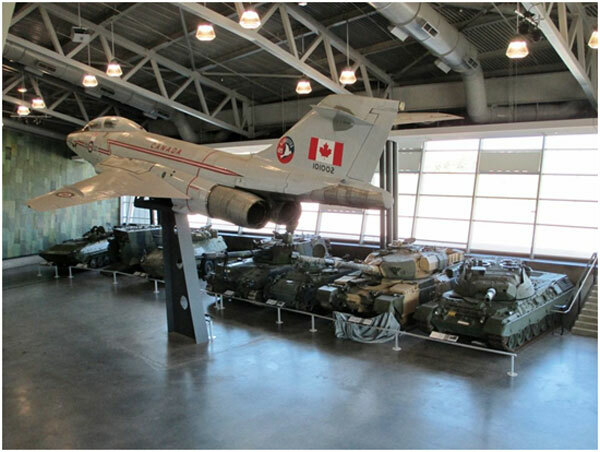 The museum displays Canada’s participation in several wars, including the French and Indian War and the World Wars. The museum houses more than 3 million artifacts, including uniforms, medals, guns, artillery, rare vehicles, and more. The Canadian museum is open daily from 9:30 am to 5 pm. On Thursday, extended hours are offered, with free admission between 4 and 8 pm. Entrance to the museum costs about $12 for adults and about $7 for kids aged 3 to 12. Best Way to Tour Ottawa, Ont. 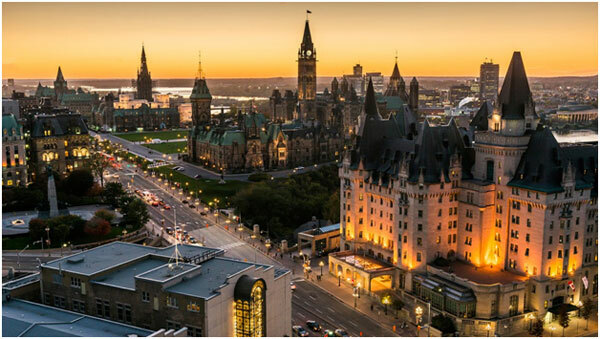 The best way to tour the city of Ottawa (as well as many other cities) is by chartered buses and vans. Explore at your own pace within the safety of your private vehicle. Don’t worry about ordering an Uber or Lyft when you have your own exploration vehicle. Through busneeds.com, you can order the buses you need. Busneeds.com is an amazing, affordable chartered vehicle company that caters to your every needs. Whether you need a bus for school trips, marriages, parties, campaigns, or whatever else, Busneeds.com can help you. Busneeds.com offers buses, mini buses, school buses, party buses, and more. Most activities and destinations listed above and below are accessible by chartered buses. Please visit www.busneeds.com) to book your rental bus today! Rideau Centre – Rideau Centre is large shopping mall in Ottawa. The four-level shopping center features hundreds of brand name stores according to their website. They also feature plenty of great places to eat at. Bayshore Shopping Centre – Bayshore Shopping Centre is another large mall in the city. It features over 180 stores, including plenty of retailers, services, and dining options. If you’re in the area, Bayshore is worth going to. Place d’Orleans – Place d’Orleans is another big shopping center in Ottawa, Canada. It has two large department stores, as well as over 175 other shops, services, and dining options in their food court. Laurent Centre – The St. Laurent Centre is a dominant shopping mall in Ottawa. Expanding over 22 acres, the mall features over 190 stores and services. You can also find a variety of places to eat at within and near the mall. ByWard Market – ByWard Market is one of Canada’s oldest and largest shopping markets. Within the market, you can find many local vendors selling all their goods, from souvenirs to fresh produce and food. Le Baccara – Everyone craves for a fancy meal at one point or another. This is basically all what Le Baccara serves. The popular sit-down restaurant takes inspiration from French and European cultures. They are rated the #1 fine dining restaurant in Ottawa by tripadvisor in 2018. Fraser Café – Fraser Café is a popular joint that serves amazing local food. The Canadian café features something for everyone, especially since it’s both vegetarian and vegan friendly. Fraser is rated the #1 local cuisine restaurant in Ottawa by tripadvisor in 2018. Enjoy your Trip to Ottawa! You might love the city, but everyone needs to get away from the bustling atmosphere at one point. Consider getting on a ferry and visiting the Toronto Islands, a group of islands that offers a relaxing time out of the city. The three islands are all connected, so you can maximize your fun without hopping on boats after boats. 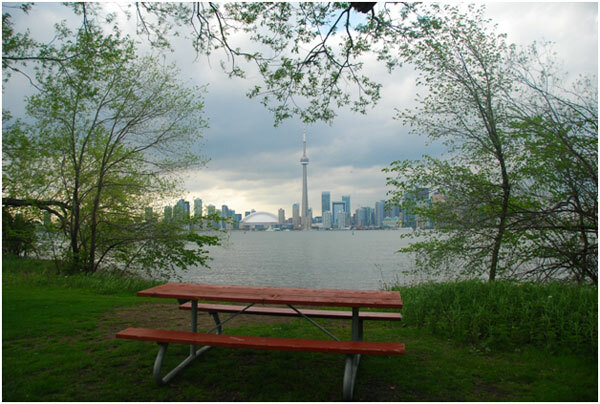 The main island, called Centre Island, is really the center of Toronto Islands. This island features everything from picnic areas, beaches, water sports rentals, and so much more. One of the other activities on Centre Island is the Centreville Amusement Park, which contains offer 30 rides and attractions. The other two islands are more serene, containing old-style homes and gardens. Entrance to Toronto Islands is free, but the ferry rides cost money. Ferry tickets for adults are about $6 and $2.85 for kids aged 2 to 14. During the summer months, the ferries tend to operate anywhere from 6:35 am to as late as 11:15 pm. During the winter, ferry hours are shortened. Have you ever dreamed of living in a grand castle? Well, get to be in one at Casa Loma, a castle built by Sir Henry Pellatt. Pellatt, a former soldier, dreamed of building a castle which overlooked the city of Toronto, which he did. The 98-room estate features basically everything that you would think would be in a medieval castle. The castle features stables for horses, overlooking towers, secret hallways and rooms, and a wine cellar capable of holding more than 1,800 bottles. Outside, you can find a 5-acre garden filled with fountains, sculptures, and other works of art. 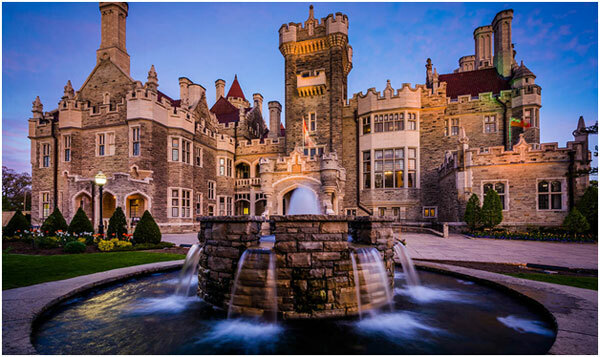 Casa Loma is open daily from 9:30 am to 5 pm. You can’t enter past 4:30. Admission for adults costs about $23 and about $13 for kids. You might not like learning, but you will like having a great time at the Ontario Science Center. With the intent of increasing what you learn for both adults and kids, the facility features plenty of interactive exhibits. Some exhibits include piloting a rocket chair, explore Toronto’s only public planetarium, and even dance on a dance floor. Ever wonder what you’ll look like when you’re older? Find this out with the facility’s Amazing Aging Machine. Other attractions and exhibits like this fill the science center, giving the visitors so much to do. 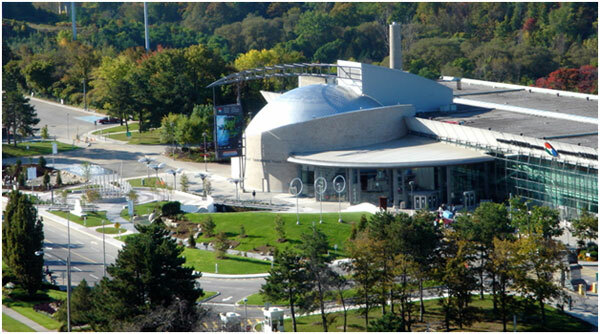 The Ontario Science Center is open daily from 10 am to 4 pm on the weekdays and from 10 am to either 5 or 7 pm on weekends and holidays. If you visit during the summer, weekday hours for the science center are extended. For adults, admission costs about $17 and about $10 for kids aged 3 to 12. Kids aged between 13 to 17 will have to pay about $12.50 for their tickets. If you’re a history buff or enjoy viewing cultural artifacts from around the world, visit the Royal Ontario Museum. Commonly called ROM, the museum is located within the University of Toronto campus. 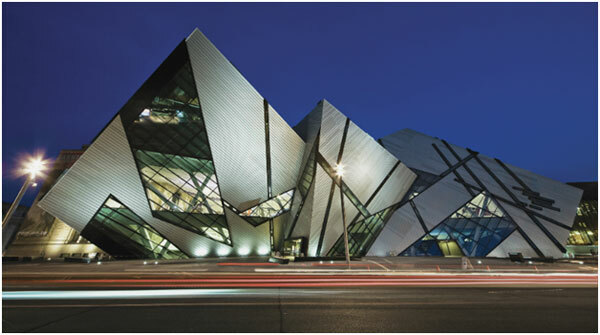 ROM is the largest museum of world cultures and natural history in Canada, containing millions of artifacts. There are various artifacts on display, from dinosaur bones to Canada’s First Peoples. There is plenty for the kids as well, such as shark jaws, a fox’s den, and more. The Royal Ontario Museum is usually open daily from 10 am to 5:30 pm but extended hours until 10 pm on Fridays, but hours can change depending on the season. Admission costs about $15.50 for adults and about $11 for kids aged 4 to 14. Admission covers the cost of most things in the museum, except certain exhibits which may cost money. You’ve probably noticed the CN Tower, the prominent feature of the Toronto skyline, sticking out above the rest of the city. The tower rises to 1,815, earning its title as one of the Seven Wonders of the Modern World by the American Society of Civil Engineers. Other than looking nice, the tower actually served a purpose in helping transmission between radio towers pass easily. Today’s visitors can arrive at the top of the CN Tower in less than a minute with its elevators. At the top, you’ll find four observation areas, each going higher and higher. The first is the Glass Floor Room, sitting at 1,122 feet. The second observation area is the Lookout Level at 1,136. The third area is the revolving 360 The Restaurant at 1,150 feet in the air, and the Skypod sits at 1,465 feet above the ground. The Skypod is one of the highest observation points for the public in the world. 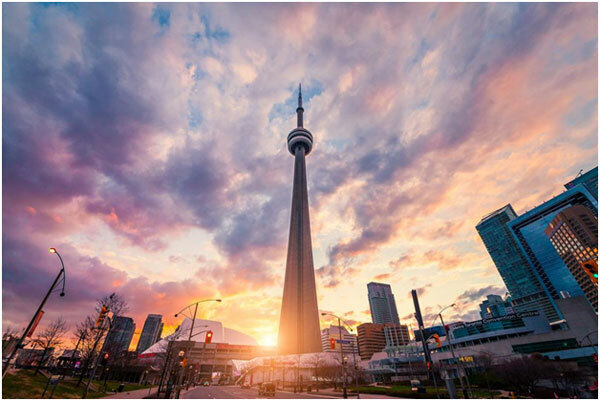 The CN Tower is open for public use everyday except Christmas, but hours depend on what part of the tower you want to visit. Admission for all four observation areas costs about $28 for adults and about $22 for kids between 4 to 12. Booking online may grant you a reduced rate. 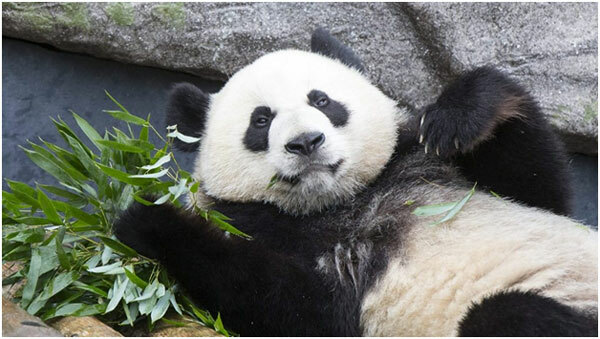 If you go to a big city, such as Toronto, we suggest you to visit their zoos, many of which are large and enjoyable. The Toronto Zoo is the largest zoo in Canada, as well as one of the largest in the world. Covering over 700 acres, visitors can view over 5,000 animals which are made up of more than 450 different species. One of the most popular exhibits in the Toronto Zoo is the Gorilla Rainforest, the largest indoor gorilla exhibit in North America. Visitors can also enjoy a variety of other activities here, from a rope course to a water play area for the kids. The zoo is generally open every day from 9:30 am to 4:30 pm, although hours change depending on the season. There are also extended hours on the weekends. Admission to the zoo also depends on the season, but adult prices can be anywhere from about $18 to $22 and from about $11 to $15 for kids aged 3 to 12. The best way to tour the city of Toronto (as well as many other cities) is by chartered buses and vans. Explore at your own pace within the safety of your private vehicle. Don’t worry about ordering an Uber or Lyft when you have your own exploration vehicle. Through busneeds.com, you can order the buses you need. Busneeds.com is an amazing, affordable chartered vehicle company that caters to your every needs. Whether you need a bus for school trips, marriages, parties, campaigns, or whatever else, Busneeds.com can help you. Busneeds.com offers buses, mini buses, school buses, party buses, and more. Most activities and destinations listed above and below are accessible by chartered buses. Visit www.busneeds.com to book your rental bus today! 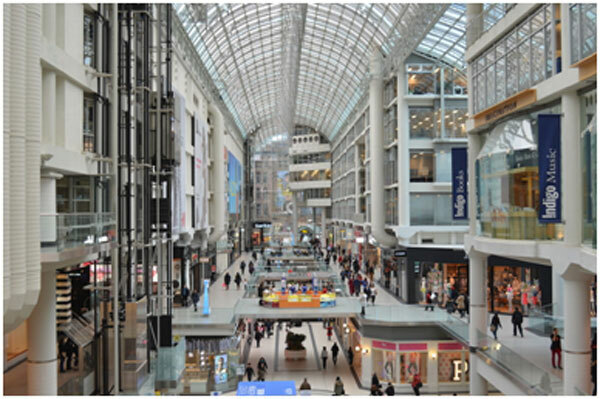 Toronto Eaton Center – The Toronto Eaton Center is the one of the largest shopping mall in Toronto, located in the city’s core. The mall features over 6 anchor tenants, and its stores and services total over 250. There are plenty of stores, services, and dining options to choose from. First Canadian Place – The First Canadian Place is another popular shopping mall in Toronto, featuring over 100 stores, shops, and restaurants. The skyscraper features plenty of restaurants to choose from. Yorkville Village – Yorkville Village is another popular shopping destination in Toronto, located in the city’s Yorkville neighborhood. While it only features 2 anchor tenants and a total of 23 stores and services, it is still a convenient place to shop. Yorkdale Shopping Centre – Yorkdale is one of the largest shopping malls in Toronto, featuring 6 anchor tenants and over 250 stores. The indoor complex features plenty of stores, as well as a variety of restaurants to choose from. Scaramouche Restaurant – The Scaramouche Restaurant is one of the most popular sit-down restaurants in Toronto. The French-inspired restaurant features a variety of items on their menu, including vegetarian and vegan friendly options. Scaramouche is rated the #1 fine-dining restaurant in Toronto by tripadvisor in 2018. GEORGE Restaurant – The GEORGE Restaurant is another popular restaurant in Toronto. The French-Canadian restaurant is rated the #1 local cuisine restaurant in Toronto by tripadvisor in 2018. Although pricey ($$$$), the restaurant is a great restaurant serving local food. There isn’t a better landmark in Boulder than the Flatirons. The Flatirons are 5 flat peaks that rise above the terrain of Colorado. They are perfect for hiking and climbing, featuring trails for all ages and levels of experience. 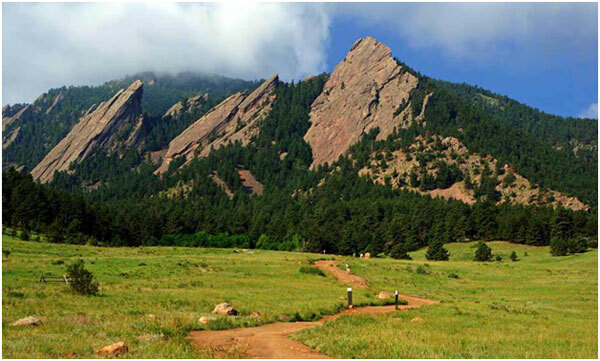 Other than hiking, visitors to the Flatirons must admire the beautiful rocks. Don’t forget your camera, as you’ll want to take a lot of pictures. We advise you to take proper precaution when hiking the slopes, as the terrain may be steep and slippery. The Flatirons are available to the public for free from when the sun rises to when it sets. If you decide to drive to this attraction, you will have to pay a small parking fee of $5 when you park your vehicle at the lot on the west side of Highway 93. 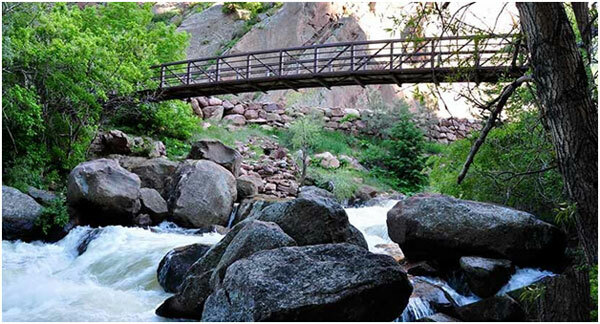 The Eldorado Canyon State Park has everything for nature lovers. Thick forests of pine, canyon walls, and trails – what more can you ask? At the 885-acre park, you can do a multitude of activities such as rock climbing, horseback riding, kayaking, and so much more. We recommend you bring your camera, as the sights are picture-worthy. If you want to go hiking, you will have to pay an $8 vehicle free for access to the winding trails of Eldorado Canyon. The Eldorado Canyon State Park is open daily from dawn to dusk. To visit the park visit center, head a mile west from the entrance of the park. If you’re looking for a serene place to hike, head over to Boulder Creek Path. 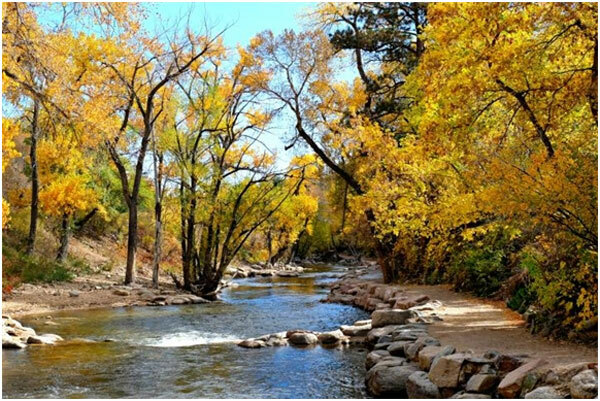 While Boulder has many places great for hiking, the Boulder Creek Path stands out mainly due to the fact that there is no automobiles on the path. The 5.5 mile-long trail is laid out next to Boulder Creek. On many days, you can find hikers, bikers, and more on the path. In the creek, you can find kayakers. The Boulder Creek Path is perfect for those who don’t enjoy a rigorous hike, as the trail is pretty easy. The Boulder Creek Path every day all day, even when you feel like taking a midnight stroll. There is no cost for using the path. 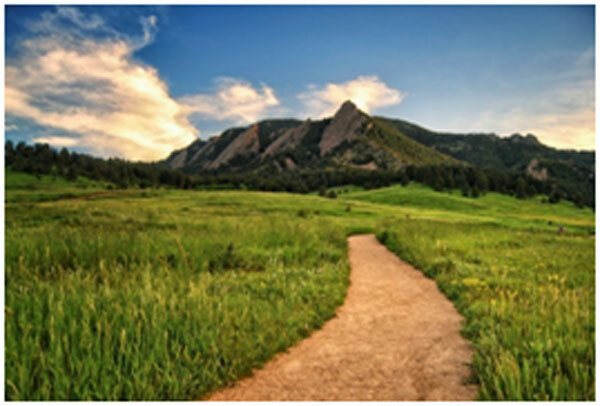 Perhaps the most popular park in Boulder, Chautauqua Park is a National Historic Landmark that was first established as a retreat in the late 1800s. Today, this park is the host of a multitude of entertainment options, such as concerts and festivals. Even if there isn’t an event going on, this park is the perfect place to relax, with many peaceful trails and gardens. The park features several amenities such as lodging, dining, and auditoriums. The park is open every day all day. The general entrance cost is free, but certain events may cost money. Lodging and dining are also available, but at a price. You don’t have to be an art fanatic to appreciate the collections displayed within the Leanin’ Tree Museum of Western Art. Leanin’ features one of the largest Western-themed collections that dates after the 1950s. Throughout the collections, you can find pieces based on cowboys to the landscapes of the West. Leaning Tree Museum also features a sculpture garden, one of the favorite attractions of recent visitors. The Leanin’ Tree Museum of Western Art opens from 8 in the morning and closes at 6 in the evening on the weekdays, from 9 in the morning to 5 in the evening on Saturday, and from 10 in the morning to 5 in the evening on Sundays. Lucky for you, the museum and its sculpture garden are free to guests. Who knew a place where they discuss the weather was going to be so popular? Well, this is the case for Boulder’s National Center for Atmospheric Research. Here, scientists study the effects of atmospheric occurrences, such as the greenhouse effect and more. At the research center, you can also view some of the most helpful tools for conducting weather-related experiments. If you don’t just like to observe, there are also a variety of interactive exhibits for all to enjoy. On Monday, Wednesday, and Friday, guided tours of the research center are held between 12 and 1 pm. The National Center for Atmospheric Research is open to the public from 8 am to 5 pm on the weekdays, and from 9 am to 4 pm on the weekends. Both admission and guided tours are free. 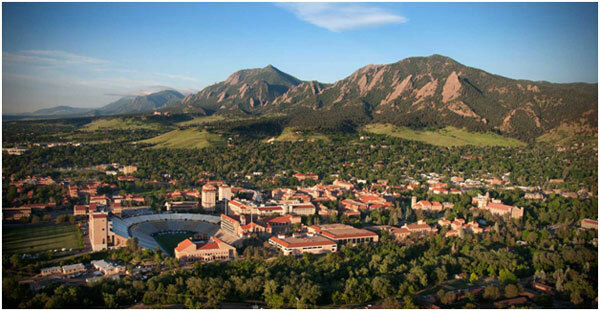 The best way to tour the city of Boulder (as well as many other cities) is by chartered buses and vans. Explore at your own pace within the safety of your private vehicle. Don’t worry about ordering an Uber or Lyft when you have your own exploration vehicle. Through busneeds.com, you can order the buses you need. Busneeds.com is an amazing, affordable chartered vehicle company that caters to your every needs. Whether you need a bus for school trips, marriages, parties, campaigns, or whatever else, busneeds.com can help you. Busneeds.com offers buses, mini buses, school buses, party buses, and more. Most activities and destinations listed above and below are accessible by chartered buses. Visit www.busneeds.com) to book your rental bus today! Pearl Street Mall – Pearl Street Mall might be the most popular shopping mall in Boulder among the tourists. Here, you can find plenty of familiar brands, as well as more local brands. The sidewalks are lined with stores, eateries and cafes, and services. 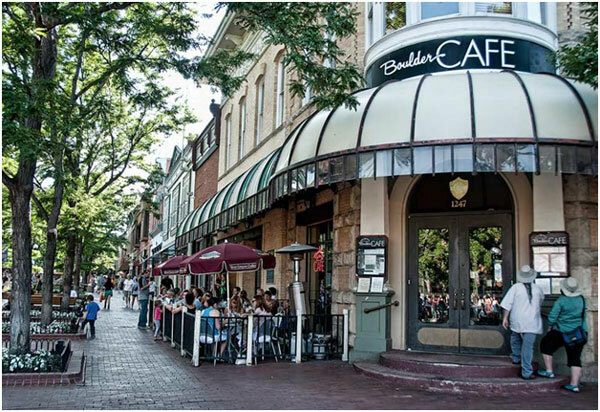 ‘29th Street Mall – The 29th Street is one of the most popular shopping malls in Boulder, among both locals and tourists. Here, you can find stores like Nordstrom, Macy’s, and more. You can also find plenty of dining options, a few of them including Noodles & Company, Colorado Pizza Kitchen, and more. Boulder County Farmer’s Market –If you’re looking to buy fresh goods and produce, the Boulder County Farmer’s Market is the place you should head to. Here, you can find vendors selling fresh fruits and veggies, cheese, and much more. They also have vendors selling items such as jewelry and pottery. Oak at Fourteenth –Who doesn’t enjoy a fancy meal from time to time? If you decide to go that route while in Boulder, head over to Oak at Fourteenth. The American restaurant is rated the #1 fine-dining restaurant in Boulder by tripadvisor (in 2018). Mountain Sun Pub and Brewery –Who says bar restaurants can’t have good food? The food at Mountain Sun Pub and Brewery is a popular local joint, featuring even vegetarian and vegan friendly options. They are rated the #1 local cuisine restaurant in Boulder by tripadvisor (in 2018). 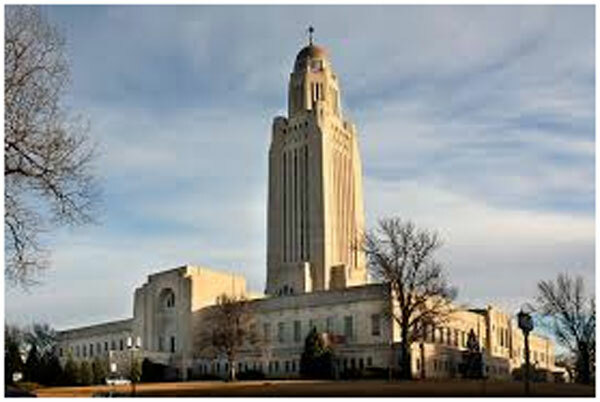 The Nebraska State Capitol is the government seat of Nebraska, located in Lincoln. Other than being the government building, it is more known for its amazing architecture. 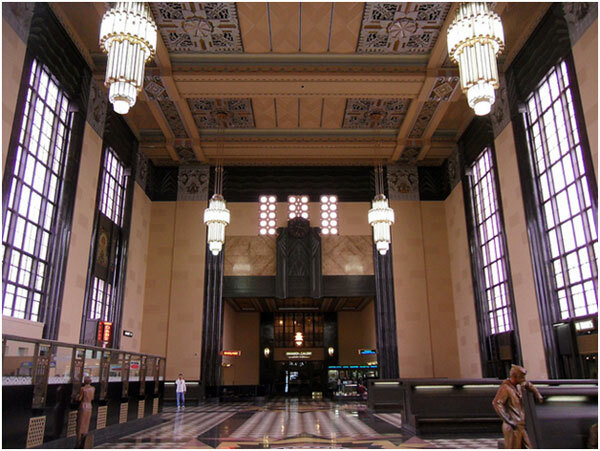 It features styles like art deco, gothic revival architecture, and byzantine revival architecture. The building itself features a 400-ft tower that is made of limestone. 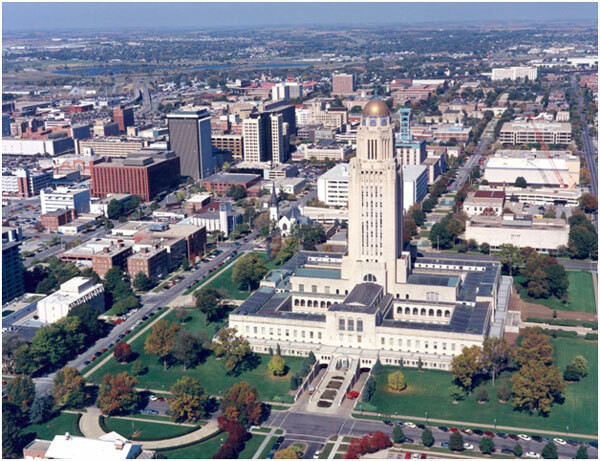 The Nebraska State Capitol was the first state capitol to have a functional tower. In the 1970’s, the capitol was registered as a National Historical Landmark. The building is open from 8 am to 5 pm on Mondays to Fridays. On the weekdays, free tours are available every hour starting at 9 am, with the last tour given at 4 pm. On Saturday and holidays, the building is open from 10 am to 5 pm, with tours are available at 10 am, 11 am, and 1 pm. On Sunday, the building opens at 1 and closes at 5 pm. Tours are available at 1, 2, 3, and 4 pm. The Sunken Gardens is a popular, outdoor attraction in Lincoln, Nebraska. Constructed in 1931, the garden is among the best gardens to visit in the United States and Canada. The garden was originally constructed as a project for unemployed men during the time of the Great Depression. Today, it is among the favorite attractions of Lincoln. The garden’s display is comprised of over 30,000 plants, which “are redesigned to a different theme each year.” Also each year, the garden is host to programs and events, many of which offer visitors to plant annual flora. The garden is open every day of the week from 6 in the morning to 11 at night. There is no entrance costs, but donations are well-appreciated. The University of Nebraska State Museum is the largest natural history museum in Nebraska. 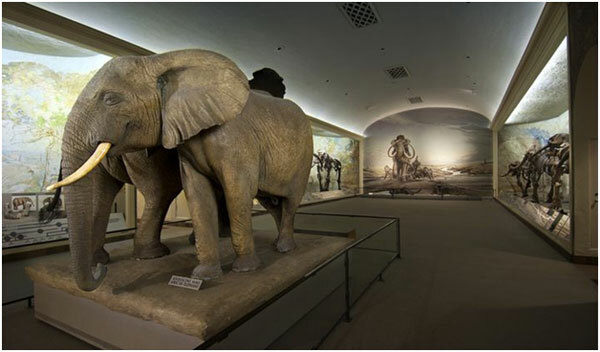 It features exhibits of fossils of elephants and other animals, hands-on paleontology exhibits, a weapons exhibit, American Indian exhibits, and more. The museum is also the host to certain events and programs given throughout the year. Many of these programs are for educational purposes. The purpose of the museum is to educate others about the history of Nebraska. The museum, which is located in Morrill Hall, is open daily. On Monday through Saturday (excluding Thursday), the hall is open from 9:30 am to 4:30 pm. On Thursday, they open at 9:30 am and close at 8 pm; on Sundays, they are open from 12:30 to 4:30 pm. The museum costs $6 for adults (above 18), $3 for kids 5 to 18, and free for those under 5. Students and staff at UNL get in for free. The Lincoln Children’s Museum is a 3-story interactive exhibit that is geared mainly for the kids, but enjoyable even for those older. It features hands-on exhibits, educational activities, and day camps. This is an amazing place to take kids for field trips. 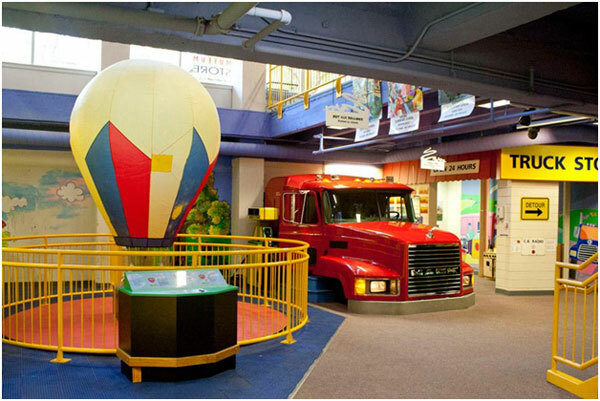 The children’s museum has had a huge impact on visitors, attracting over 3 million since 1990. Some of the popular exhibits are special exhibits designed for the age of the kids. For those under 3, they start in the Grow Zone. Here, clean and sanitized toys can be found. As they get older, they move onto a mock town, where you can find a bank, an apple orchard, and more. Here, they have a chance to be a doctor, a firefighter, and more. For older ages, there is even more to do. The museum is open from 9:30 am to 5 pm from Monday to Saturday. On Sunday, they are open from 1 to 5 pm. Admission for adults costs $9.95, $10.95 for kids, and free for those under 18 months. Members also get in for free. 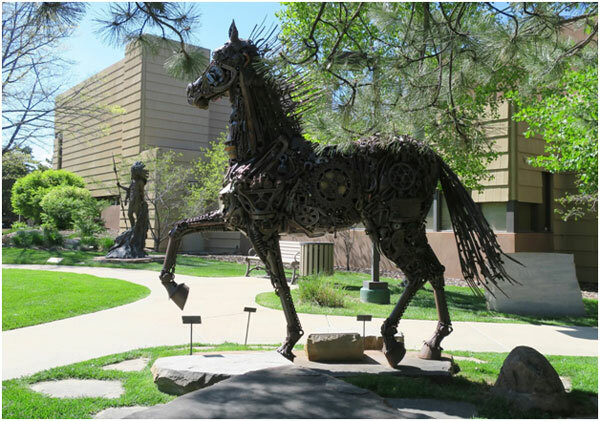 Sheldon Museum of Art has been the premiere place for art in Lincoln for over 50 years. It has provided visitors, students, and faculty an enjoyable place to engage with the unique art and others. The collections of the museum features American art, primarily from the 19thand 20thcentury. Their exhibitions are also noteworthy, featuring several permanent collections. The Sheldon Museum of Art is open Monday through Wednesday from 10 am to 5 pm, Thursday and Friday from 10 am to 7 pm, Saturday from 10 am to 5 pm, and Sunday from noon to 5 pm. 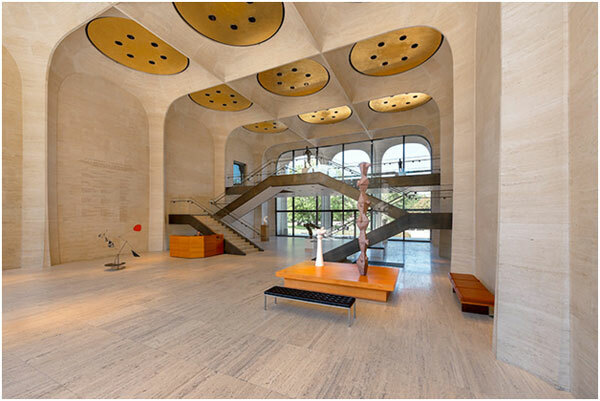 Unlike many other art museum in the United States, the Sheldon Museum of Art has free admission. That means you don’t have to pay a price to admire the beautiful art. If you enjoy the outdoors, consider heading over to Trago Park. Trago Park is a grassy area meant for sports and recreation. 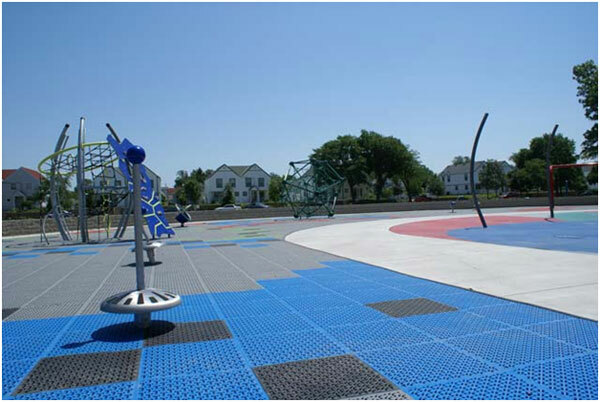 It features a multitude of things to do like trails for biking and walking, a basketball court, a playground for the kids, and more. There is even a water playground for kids to enjoy. Trago Park is also a great place to enjoy picnics, with open shelters and restrooms. If you want to hit up this park, you will have to do it within their operating hours, as they’re not open 24 hours. They are open every day from 11 in the morning to 7 at night. Admission into the park is free, but certain amenities within may cost you money. The Lincoln Children’s Zoo is a popular animal attraction in Lincoln, Nebraska. It is designed to offer kids interactive, intimate experiences with the animals. Although it is only 10 acres, it is the largest attended zoo per acre in the United States. It attracts over 200,000 visitors each year. The zoo houses over 400 animals. Some of these animals include crocodiles, macaws, bobcats, camels, monkeys, llamas, penguins, leopards, and many more. Throughout the year, special events, camps, and more are held at the zoo. To visit all these animals comes at a cost. Admission for adults costs $9.95, $8.95 for kids and seniors, and free for those under 2. The zoo is open year-round on all days of the week (including holidays), from 10 am to 5 pm. The best way to tour the city of Lincoln (as well as many other cities) is by chartered buses and vans. Explore at your own pace within the safety of your private vehicle. Don’t worry about ordering an Uber or Lyft when you have your own exploration vehicle. Through Busneeds.com, you can order the buses you need. Busneeds.com is an amazing, affordable chartered vehicle company that caters to your every needs. Whether you need a bus for school trips, marriages, parties, campaigns, or whatever else, busneeds.com can help you. Busneeds.com offers buses, mini buses, school buses, party buses, and more. Most activities and destinations listed above and below are accessible by chartered buses. Visit www.busneeds.com to book your rental bus today! Gateway Mall – If you’re looking for a large shopping mall, Gateway Mall is the place to go. It is the largest mall in Lincoln, featuring over 100 stores, dining options, and services. 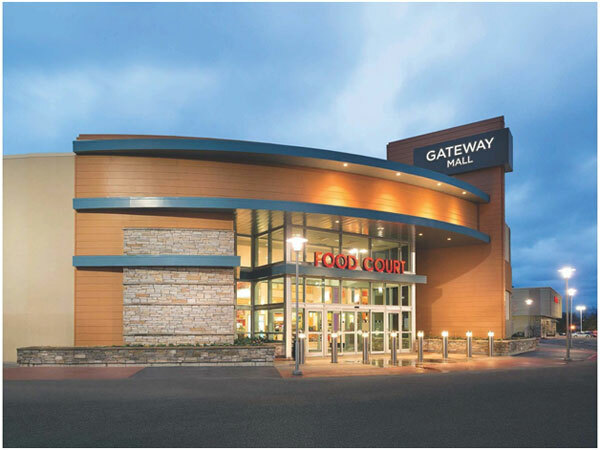 If you’re looking to do some serious shopping, Gateway is the place to head to. SouthPointe Pavilions –Another great place to shop is the SouthPointe Pavilions. 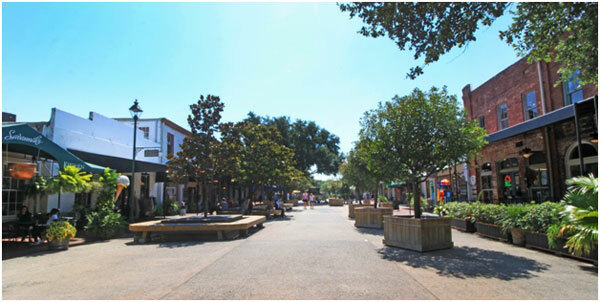 This outdoor mall features a great variety of shops, restaurants, and services. They also have a movie theater, where you can enjoy your favorite movies. If you get hungry, you can either eat at SouthPointe or somewhere nearby. Nebraska Crossing Outlets – The Nebraska Crossing Outlets is a convenient shopping center. 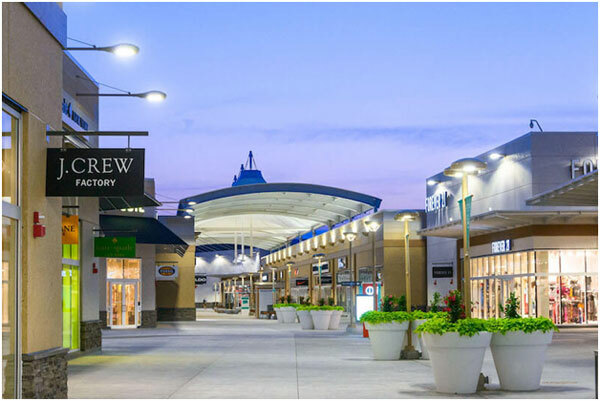 Although not as large as Gateway Mall or SouthPointe Pavilions, it is still a popular shopping destination, featuring brands like Ralph Lauren, Nike, GAP, Coach, Michael Kors, and more. Leadbelly – Leadbelly is one of the most popular restaurants in Lincoln. The local restaurant is rated the #1 local cuisine restaurant in Lincoln, Nebraska, by tripadvisor (in 2018). The American bar restaurant features the food that will have your stomach begging for more. Lazlo’s Brewery and Grill – Lazlo’s Brewery and Grill is another local favorite in Lincoln, Nebraska. It is rated the #2 local restaurant in Lincoln by tripadvisor (in 2018), after Leadbelly (read above). The American bar restaurant is both vegetarian and vegan friendly. Do you like admiring beautiful art? Head over to the Joslyn Art Museum. Here, you can find mostly European and American art dating between the 1800’s to the 1900’s. Some famous artists include Winslow Homer, Claude Monet, Mary Cassatt, and several more. 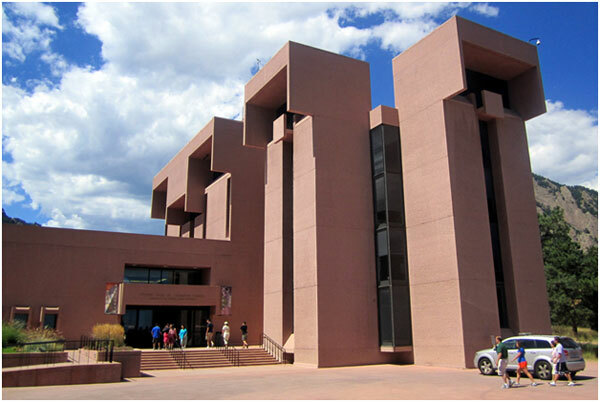 Other than European and American art, the museum is home to an American Indian collection. One of the most admirable things in the museum is the Chihuly glass chandelier. Entrance to the facility is free. On Tuesday, Wednesday, Friday, Saturday, and Sunday, they are open from 10 am to 4 pm. On Thursday, they are open from 10 am to 8 pm. The museum is closed on Monday and major holidays. Hours for special events may differ. 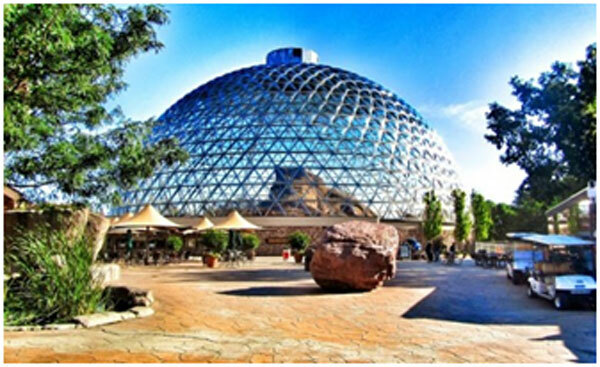 A great zoo to visit while you’re in Omaha is Omaha’s Henry Doorly Zoo & Aquarium. Here, you can really have a great animal experience with penguins, gorillas, sharks, and much more. The zoo also has an IMAX Theater, which plays documentaries. For the kids, the zookeepers hold animal presentations each day. The zoo is open everyday from 9 am to 5 pm. If you’re visiting during the winter season, there might be shortened hours. Entrance costs anywhere from $9.95 to $19.95, depending on the age of the visitor and season. For the theater and some other attractions, there are additional fees. 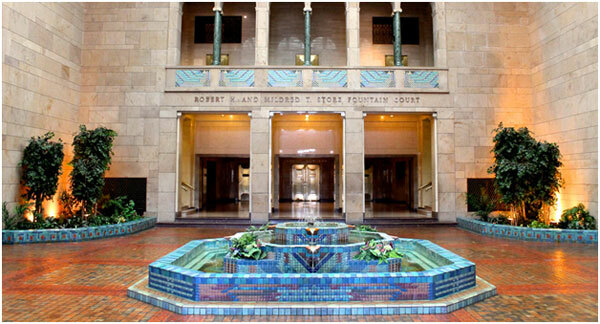 Another attraction you can’t miss while in Omaha, the Durham Museum is popular with both locals and tourists alike. The Durham Museum is associated with the Smithsonian Institution. At this museum, you can find exhibits which team about Omaha’s history. Some of these exhibits include those on Plain Indians, early dwellings of settlers, and more. Since the Durham Museum building is actually a restored train station from 1931, there are interesting train cars on display. The museum’s layout and exhibits help visitors understand what life was like back for the early settlers and natives. The Durham Museum is located in the Old Market area. They are from 10 am to 8 pm on Tuesday, and from 10 am to 5 pm from Wednesday through Saturday. On Sundays, they open at 1 and close at 5 pm. Admission costs $11 for adults, $8 for seniors, and $7 for kids 3 to 12. Kids under 3 get in for free. If you have kids with you on your Omaha visit, you MUST bring them here. 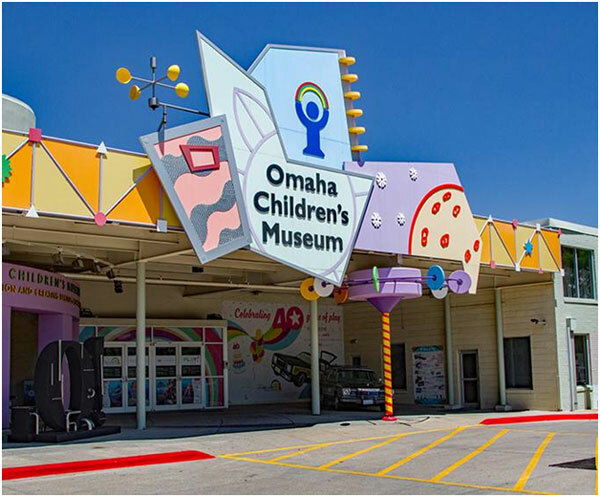 Located in the Old Market area, the Omaha Children’s Museum is a place for kids to let their imaginations run wild. The Creative Arts Center, which is located within, lets kids make arts and crafts, then keep them. For the younger kids, there is also an Imagination Playground. This contains a farm, a firehouse, and a market, as well as other hands-on exhibits. Entrance to the Omaha Children’s Museum is $12 for adults and above 2. For seniors, it is $11; it is free for kids under 2. The museum is open all year; on Tuesday through Friday, they are open from 10 to 4 pm. On Saturday, they are open from 9 am to 5 pm; on Sunday, they open at 11 am and close at 5 pm. During the summer, the museum is open on Mondays from 10 am to 5 pm. If you enjoy nature and its beauty, you might want to consider heading over to the Lauritzen Gardens. 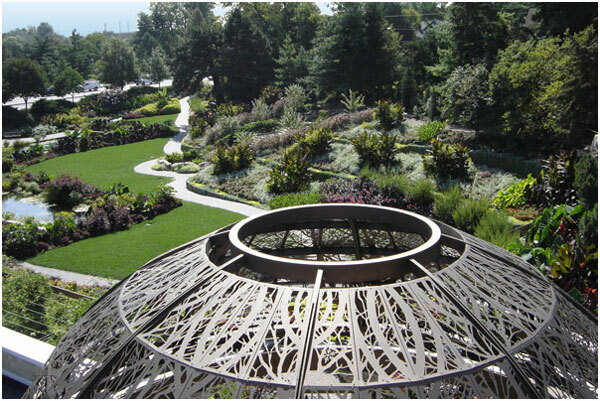 Also known as the Omaha Botanical Gardens, it features flowers, herbs, and more. Other than outdoor gardens, there is also an indoor conservatory. Other than the gardens, there are three miles of trails on which you can explore nature’s plants. For those who don’t want to walk, a tram is available for $3 per person. The $3 covers “an hour-long narrated tour of the 100-acre property.” The tram is available only through the months of May to October. 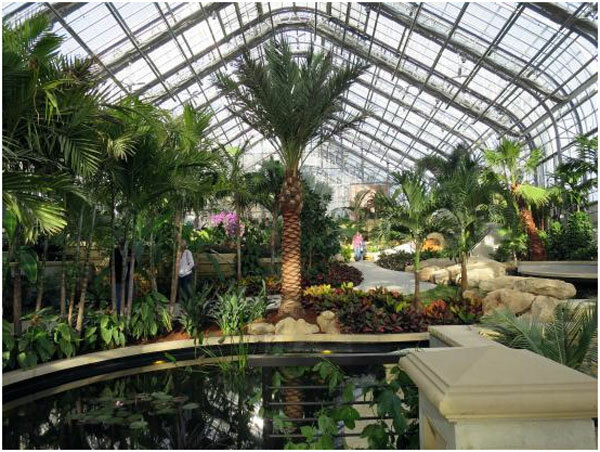 The Lauritzen Gardens – Omaha Botanical Gardens is open every day from 9 am to 5 pm, but they stay open until 8 pm from between May to September. The extra hours are for the Garden Twilight, a summer event that happens every year for visitors to enjoy the garden beauty at dusk. Admission for adults is $10, $5 for kids 6 to 12, and free for those younger than 6. The best way to tour the city of Omaha (as well as many other cities) is by chartered buses and vans. Explore at your own pace within the safety of your private vehicle. Don’t worry about ordering an Uber or Lyft when you have your own exploration vehicle. Through busneeds.com, you can order the buses you need. Busneeds.com is an amazing, affordable chartered vehicle company that caters to your every needs. Whether you need a bus for school trips, marriages, parties, campaigns, or whatever else, Busneeds.com can help you. Busneeds.com offers buses, mini buses, school buses, party buses, and more. Most activities and destinations listed above and below are accessible by chartered buses. Visit busneeds.com to book your rental bus today! The Crossroads Mall –The Crossroads Mall is one of the best places to shop in Omaha. They are filled with a large selection of retailers, dining options, and services. Oak View Mall –Oak View is another popular mall in Omaha. This is the place for shopping at popular retailers and enjoying a variety of food from their food court. Old Market – Old Market is the heart and soul of Omaha. Here, you can find a variety of shops, restaurants, and more. 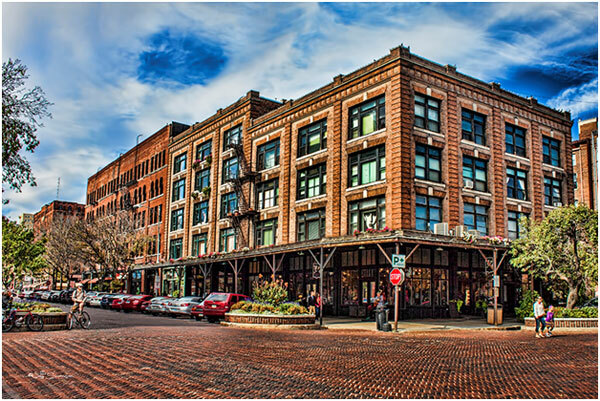 Not only can you shop and eat here, but you can enjoy as Old Market is home to many popular attractions. One Pacific Place –One Pacific Place is another amazing place for shopping, as well as dining. It contains many popular retail stores, along with some of Omaha’s most popular restaurants. 801 Chophouse – 801 Chophouse is an American steakhouse with a high price tag. But according to its visitors, the money is worth it. 801 Chophouse is rated the #1 fine-dining restaurant in Omaha by tripadvisor (in 2018). Block 16 – Omaha has great local cuisine, but the Block 16 is considered one of the best. The American restaurant is vegetarian and vegan friendly, but it has the foods meat-lovers enjoy. Block 16 is rated the #1 local restaurant in Omaha by tripadvisor (in 2018). Located within Savannah’s Historic District, this 30-acre park is the perfect place to relax after enjoying Savannah’s activities. Don’t forget to bring your camera as there are interesting sites at the park, such as the Forsyth Fountains, as well as memorials set apart for the Confederacy and the Spanish-American War. There is also a Fragrant Garden for those who might be visually impaired. If you’re looking for something historic, stop by the Candler Oak tree, which is 300 years old. Aside from all this, the park offers open space for picnics and shaded walkways for a relaxing stroll. There is also a spray pool and a playground for the young ones. If you get hungry, visit the small restaurants that encircle the park. 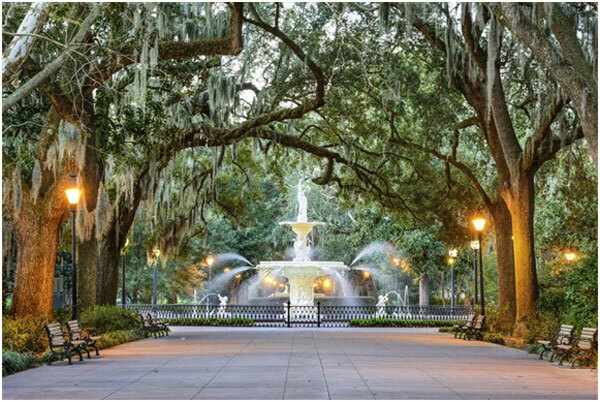 Forsyth Park is open daily from dusk till dawn. Entrance to the park is free. If you’re an architecture buff or interested in beautiful cathedrals, this is the place for you. The original version of this cathedral was built in 1799 by early French settlers. Towards the late 1800’s, the old cathedral was taken down for it to be replaced by the larger cathedral that is standing today. If you’ve ever seen pictures of the magnificent building, you probably would have seen the gold-leaf designs, marble altar, and the intricate windows made of the stained glass. This cathedral is often compared to European medieval churches, mainly because of its beauty and architecture. Consider taking at least a few minutes away from your Savannah trip to peek inside the stunning cathedral. The Cathedral is open every day (except Sunday) from 9 to 11:45 am and from 12:45 to 5 pm. Sunday is reserved for religious meetings. While entrance fee, a donation of $2 is respected. The Wormsloe Historic Site is another attraction you can’t miss if you’re in the Savannah area. 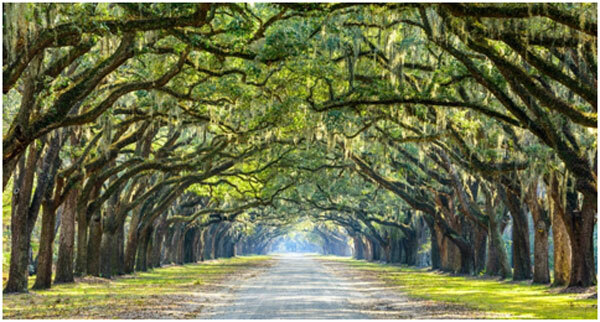 Its main star is the mile-long avenue that leads to the plantation, which is sided by tall oak trees covered in Spanish moss. While the photo op is worth the visit alone, visitors also enjoy viewing the ruins of Wormsloe. Wormsloe is the oldest standing building in Savannah and was the colonial estate of a carpenter who came to Georgia at the beginning of its settlement. Aside from the ruins, there is also a small museum that contains artifacts from Wormsloe along with a film that teaches you about the estate and Georgian founding. Wormsloe is open every day of the week from 9 in the morning to 5 in the evening. Entrance costs $10 for adults, $9 for seniors, and $4.50 for those younger than 18 and older than 6. If younger than 6, it will cost only $2. Guided tours are available periodically throughout the day. If you’re interested in Civil War history, Fort Pulaski is the place to visit. This was where Civil War General Robert E. Lee was first stationed after his graduation from West Point. When you visit, you can explore Pulaski’s huge battlements, towers, drawbridges, and moats. There are also reenactments which occur periodically so you can see what the fort was like back in its day. If you want to learn more about the fort than you would by yourself, consider taking a ranger-guided tour. The 45-minute tours are offered every day 11 am and 3 pm. If you can’t make it to a tour, we recommend you watch the 20-minute introductory film, “The Battle for Fort Pulaski.” For the most meaningful experience, watch the film before you tour the fort grounds. Fort Pulaski is open daily from 9 am to 5 pm (hours may change depending on the season). There is a $7 admission fee for all visitors who are 16 or older. The Owens-Thomas House once belonged to George W. Owens, a wealthy lawyer and politician. His estate housed his family as well as 14 slaves starting in 1830. Unlike other historic houses, this house is more known for its impressive architecture rather than art. The house is both simple and sophisticated in its own way. Inside the house, you will find Greek-influenced craftsmanship and elegant stained glass, as well as an old carriage house and slave-housing areas on the outside. The estate is open every day from 10 am to 5 pm; on Mondays and Sundays, they open only at noon. Guided tours are offered every 20 minutes until 4:20 pm. Entrance for adults cost $20. Prices for students (13-30) drop down to $15. Those who are 12 and under get in for free. 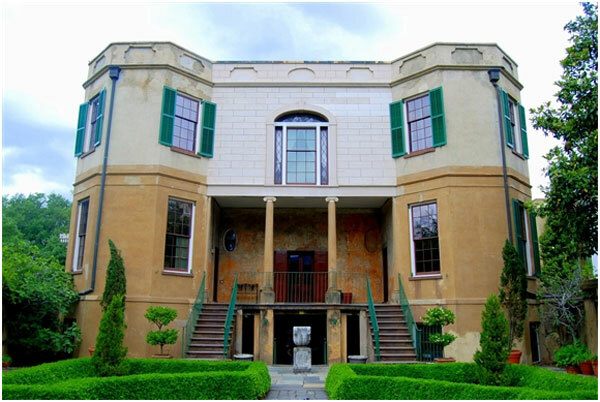 Keep in mind that purchased admission to this house also guarantees free entry into another Telfair site, such as the Jepson Center or the Telfair Academy (Telfair Museum of Art). 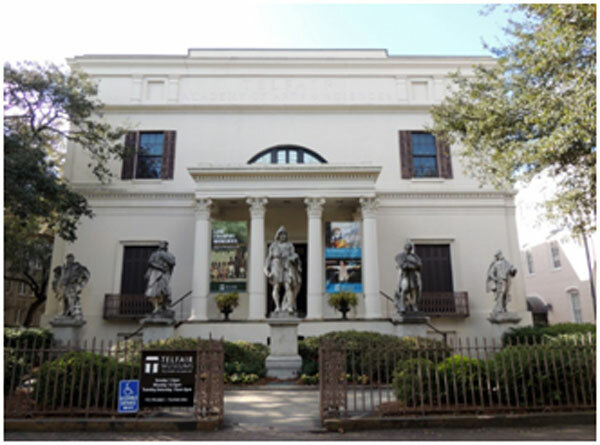 The Telfair Museum of Art, along with the other Telfair sites, make up the largest public art museum in the South. The museum holds quite a few pieces mainly from the 1800’s and the 1900’s. Out of the 4,500+ works, many visitors claim their favorite is the “Bird Girl” statue. This statue appears on the cover of a bestselling book, Midnight in the Garden of Good and Evil. The small museum is open every from 10 am to 5 pm; on Mondays and Sundays, they open only at noon. Entrance prices for adults cost $20. For students aged 13 through 30, admission is $15. For those who are under 12, entrance is free. Keep in mind that if you buy admission to this one site, you have free access to the other Telfair sites, including the Jepson Center and the Owens-Thomas House. Located just 30 minutes from the Historic District of Savannah, the Tybee Island is a popular attraction in the Savannah area. On the island, there is near 5 miles of beach, the Tybee Island Light Station, the Marine Science Center, and more. 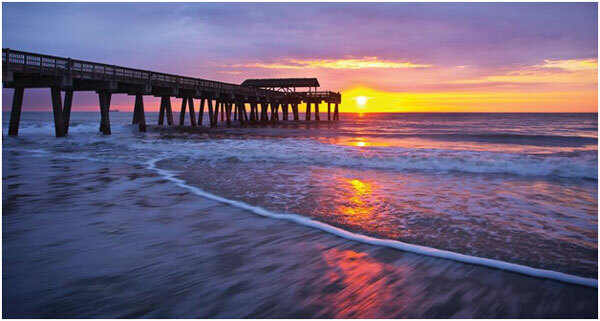 Visitors appreciate Tybee Island because of its clean beachfront, as well as the amazing views of nearby attractions. If you’re looking for a place to spend your day, or at least most of it, this is the place to go. The beach or the pier doesn’t cost anything, but other amenities and activities might cost you. Also, parking is not free. Expect paying about $2 per hour for parking basically everywhere on the island. If you’re looking for things to do in Savannah, this must go to the top of your list. 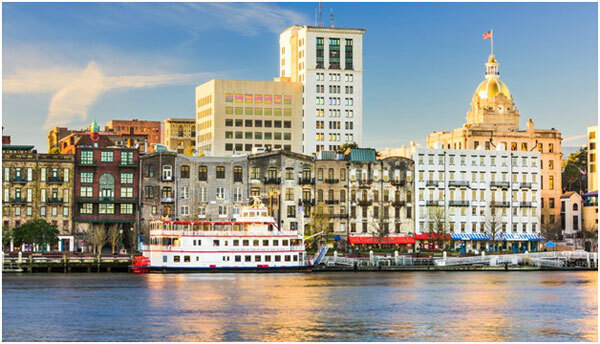 The best way to tour the city of Savannah (as well as many other cities) is by charter buses, mini buses and vans. Explore at your own pace within the safety of your private vehicle. Don’t worry about ordering an Uber or Lyft when you have your own exploration vehicle. Through busneeds.com, you can order the buses you need. Busneeds.com is an amazing, affordable chartered vehicle company that caters to your every needs. Whether you need a bus for school trips, marriages, parties, campaigns, or whatever else, busneeds.com can help you. Busneeds.com offers buses, mini buses, school buses, party buses, and more. Most activities and destinations listed above and below are accessible by chartered buses. Visit busneeds.com to book your rental bus today! City Market – If you’re looking for a historic shopping site, the City Market is the place to go. This marketplace offers everything from eateries to boutiques to art galleries. Other than shopping, great entertainment like live music is offered here. River Street – Once a spot for sailors, River Street is now a lively area filled with shops, galleries, restaurants, and pubs. If you’re shopping for souvenirs in Savannah, River Street is one of the best places to go, with over 75 souvenir shops. If you don’t want to shop or eat, just enjoy the beautiful river views. Broughton Street– Located in Savannah’s Historic District, Broughton Street is one of Savannah’s favorite shopping spots. The area features upscale retailers as well as more traditional finds. If you’re hungry, Broughton Street features some of the city’s best restaurants. Oglethorpe Mall –Named after Georgia’s founder, James Oglethorpe, Oglethorpe Mall is Savannah’s best indoor shopping/eating destination. Here, you can find the anchor stores you love to shop at, as well as specialty retailers. Abercorn Walk –If you’re a lady (or shopping for one), this is the perfect place. It features several clothiers that specialize in women’s clothing. Don’t worry if you’re a guy;you can still shop at JoS. A. Bank. There are also home décor as well as furniture stores located in the shopping center. 45 Bistro –If you’re looking for an amazing sit-down restaurant, 45 Bistro is the place to go. The American restaurant is popular among both locals and tourists. It is also rated the #1 fine dining restaurant in Savannah by tripadvisor. Take your loved ones out here to enjoy a great meal. Wilkes Dining Room – Who doesn’t like local food while visiting a great city? Mrs. Wilkes Dining Room is a popular local restaurant among locals and visitors. The American restaurant is rated #1 local cuisine restaurant in Savannah by tripadvisor. Enjoy your Charter Bus Vacation! As Iowa’s capital city, Des Moines is a hub of government action, business activity, arts and cultural affairs. By the help of busneeds.com, I took a charter bus holiday with my friends to grasp how appealing and gracious a spot Des Moines, Iowa really is. With a City population approaching 200,000 and a metro population of nearly 500,000, Des Moines offers some of the nation’s best schools, superb public services, and friendly, caring neighborhoods. A good memory that we took with us to home is the quality time that we spend in the Des Moines Botanical Center. That was an excellent place for us to spend our hours strolling among flowers, birds, butterflies and greeneries. I asked our charter bus driver to take us to the Iowa State Fairground located within Des Moines where there were concerts, horse and dog shows and numerous activities going on in the 400 acre tourist-magnet. In Heritage Carousel, we had our charter bus stop, gave us enthralling experiences that we won’t forget about Des Moines. There were children with us, so, for us to get to ride this carousel which has been around since the 1930’s was pretty cool. It was even handcrafted and painted. Affordable housing, one of the nation’s shortest commute times, and an increasingly diverse population, make Des Moines a wonderful place to live, work and visit. I was very impressed with our choice to visit Des Moines on a charter bus. May be next year our vacation charter bus spot preference will go with this exceptional place as all my friends opined there was something different in Des Moines.